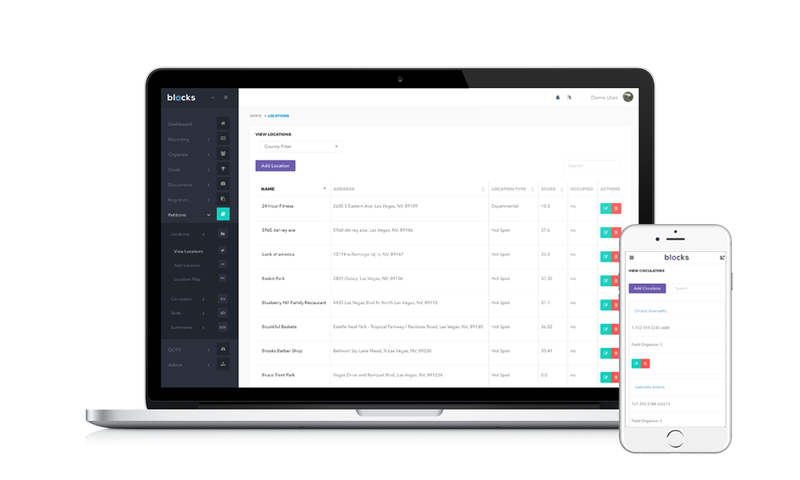 Politech’s Blocks with Petitions is a data entry system to take your petitioning and signature gathering to the next level. With Blocks’ petition tool, you can access and track data, automate quality control tasks, and increase the performance and efficiency of your program. Through analytics and modeling built into the platform, we can show what locations, teams, and individuals perform the highest and when, allowing teams to perform at their highest throughout the duration of the program. An automated system allows you to automatically check signature information against the voter file, customize quality control alerts, and have access to live progress reports specifically tailored to your program’s need. 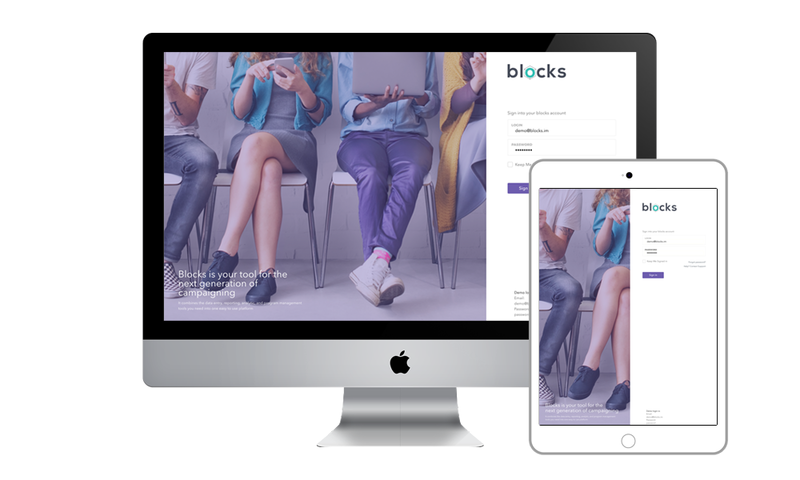 Blocks with Petitions is a responsively designed, mobile first platform providing a fully available, reliable, high performance tool on any screen.